Experience the spirit of Kitselas Canyon. 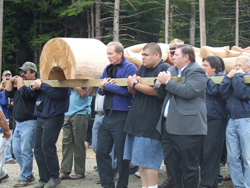 This awe-inspiring tour takes you to the nearby village of Gitaus, a Tsimshian community. The Kitselas Canyon National Historic Site is one of the most intriguing cultural and geological tourism destinations in northwestern BC. As winner of Aboriginal Tourism’s ‘Cultural Authenticity’ award, the ‘People of Kitselas Canyon’ also referred to as the ‘Gitselasu’ welcome visitors with an array of activities, interpretive tours and traditional presentations. The Canyon was once a strategic location for many First Nations villages and 19th century riverboats traveling the Skeena River often off-loaded to navigate the Canyon. Visit Ringbolt Island to see for yourself. 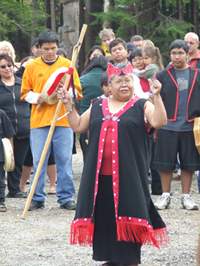 The Kitselas people were the “Guardians of the River” and played an important role in the pioneer settlement of the inland regions.